Is your business looking to build performance, improve personal effectiveness and gain a competitive edge? If so we can provide high impact and business focused training for managers and teams, through our People Skills Services provider. Our partners for People Skills is Academy Training Services Limited, whose aim is to support SMEs with Leadership, Management and soft skills training. Many issues faced by first line manages such as poor productivity, poor standards of work, lack of employee engagement for example can be overcome with effective training. Academy Training Services Ltd offers a full Consultancy Service including Training Needs Analysis to help identify individual training needs and this can be linked to Continuing Professional Development requirements and aligned with staff training strategies. They can also facilitate team building days and events. 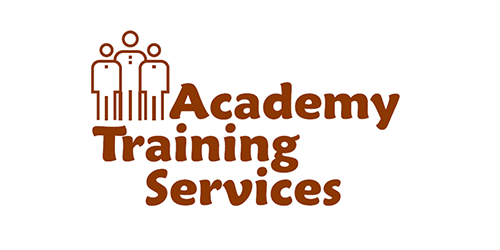 Academy Training Services provide a personal service tailored to the requirements of their clients. Having worked with companies and organisations large and small, including not-for-profit organisations, they specialise in preparing and delivering training for Managers and team leaders as well as general training for all staff to improve skills and knowledge. All training can be carried out in house or at a suitable local venue and is tailored to your needs. For example – appraisal training – your policies, procedures and paperwork, along with any issues are used when preparing and delivering the training. ATS also offer a special ‘Managers Toolkit’ – 5 days training over 10 weeks for covering a range of suggested topics including individual personal development and development of their team which can be adapted to suit your needs. Marie designs and delivers tailored in-house training on a wide range of subjects, specialising in management and leadership training. With over 30 years’ combined experience in Industry her combined skills can help your organisation to improve productivity, and deal with issues faced by managers and staff in today’s competitive environment. As a fully qualified teacher (Cert Ed) Marie was rated Excellent by Ofsted and achieved a 95% pass rate at A/S Business Studies. She taught Business Management, Business Studies and French for seven years, before setting up her own training company. Marie can improve and develop the skills and performance of your staff leading to maximised profits, increased outputs and improved motivation levels, through affordable and effective training.